The ethanol industry is currently awaiting an EPA decision that would move the conventional ethanol blend limit from E 10 to E 15. A decision is expected sometime in mid 2010. Of course there is plenty of opposition, but a move from E 10 to E 15 would benefit the United States in a number of ways including the economy, environment and energy security. According to a study by North Dakota State University, move from E 10 to E 15 would create and support more than 136,000 new jobs and inject $24.4 billion into the American economy annually. What could our country use right now more than jobs? Especially good paying jobs based in rural communities. Research by the Nebraska Corn Growers, shows that higher blends of ethanol provide better energy conversion within an engine than other fuels, meaning you can travel farther on less energy. This not only saves you money, but it puts 100% of that money back into the local economy. According to the United States Department of Energy, the use of E 15 instead of conventional gasoline would reduce greenhouse gases by more than 40 million tons of CO2 per year or the greenhouse gas emissions equivalent to removing 10.5 million cars from the road each year. Each year the United States sends billions of dollars to unstable countries to meet our energy needs. An increase in the conventional ethanol blend will lessen our dependence on foreign oil and increase the production of our own clean-burning, renewable fuel. Growth in the current ethanol industry will also lead the way for futuristic biofuels. 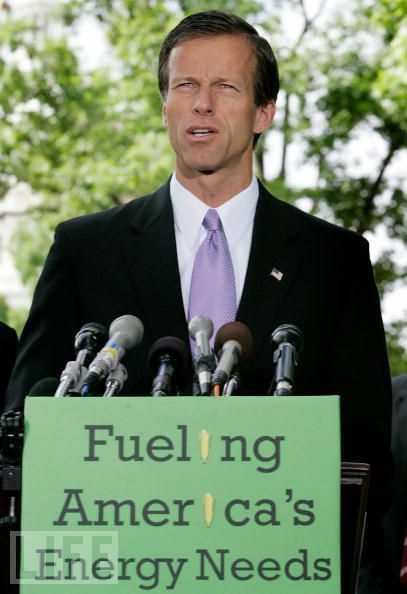 This entry was posted in Education and tagged corn, E 15, economy, energy security, environment, ethanol, ethanol blend, John Thune, South Dakota, United States.